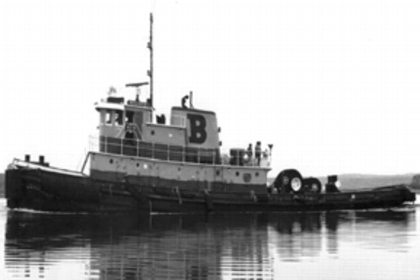 Established In 1979, as a single vessel company when the tug Baleen was chartered to Reinauer Transportation Company of Staten Island, New York. Under the company the Baleen Towing Company of East Boston, Massachusetts. Which was a partnership with Jake Tibbetts, whose Father was president of the Reinauer Transportation subsidy, the Boston Fuel Transportation Company of East Boston, Massachusetts. The tug was assigned to ship assist work in and around Bath, Maine. Her duties also included towing oil barges between New York and New England. In 1979, the tug caught fire, and was lost.